Mommy Nature Is My Friend! 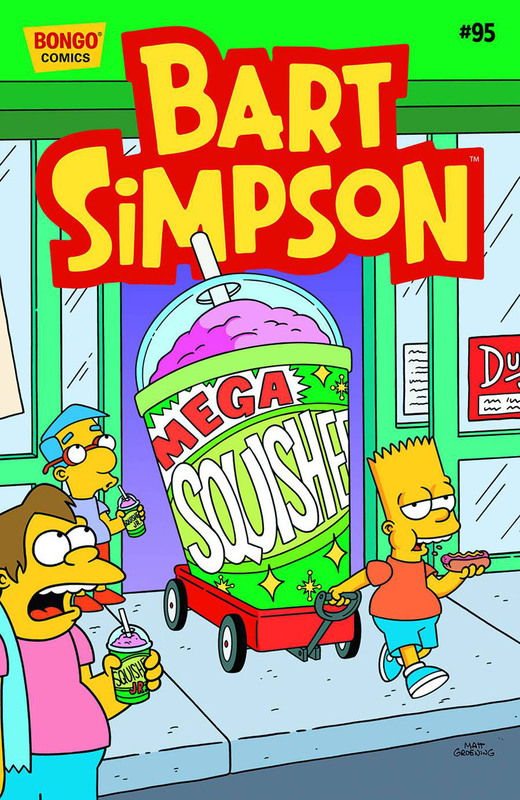 Bart Simpson #95 is the ninety-fifth issue of Bart Simpson Comics. It was released on March 25, 2015. 2.1 Bart Simpson: Assistant Manager! 2.2 Mommy Nature Is My Friend! "In order to earn enough money for some tickets to a professional wrestling match, Bart gets a job at the Kwik-E-Mart. And then, in order to put food on the table Otto the Bus Driver offers his own services (as well as the Springfield Elementary bus) as an "Uber"-type driver. Plus, Ralph explores his love of nature." Main article: Mommy Nature Is My Friend!